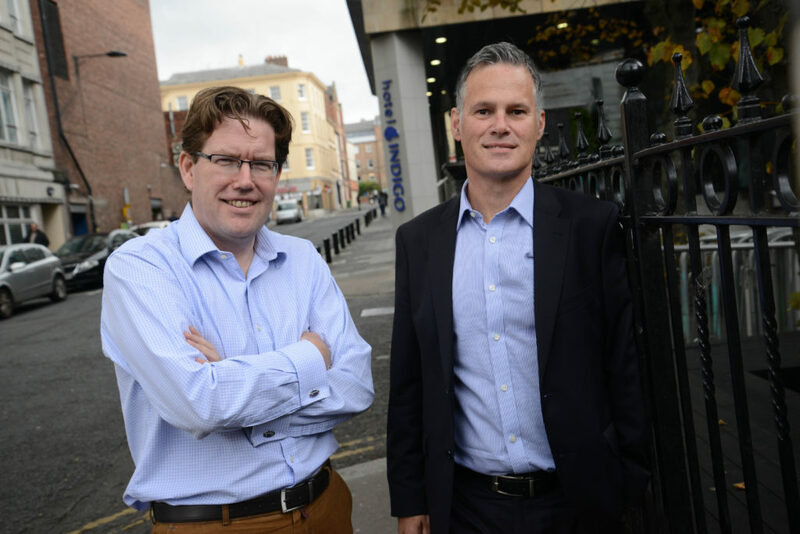 A specialist North East software developer is casting its gaze across the Atlantic after picking up four major new contracts and increasing its annual turnover by 20 per cent in the last year. EvaluAgent designs software solutions for contact centres which use ‘gamification’ techniques to help ensure customers receive the best possible standards of service while also keeping the call centre teams fully engaged and motivated. Data generated by the systems is turned into points and leaderboards, which incentivise staff to try to make their way to the top of the list through the work that they do and the service they provide to customers. Since working with regional fund management firm NEL Fund Managers to secure a £300,000 investment from the Finance For Business North East Growth Fund last year, EvaluAgent has won new contracts in the outsourcing, energy, automotive and technology sectors, which sit alongside existing work with clients including outsourcing giant Atos. It has increased its headcount to 16 through additions to its engineering and marketing teams, has plans in place to create more new jobs as the business grows, and has expanded into new offices in central Newcastle in order to maximise its access to the regional talent pool. And it is now looking at entering North American markets as part of the next stage of its development, as well as enhancing its presence in reseller networks and a number of different vertical markets. The Utilities sector, where demand for EvaluAgent’s quality management platform is increasingly helping clients to demonstrate compliance under increasingly strict regulatory oversight, is seen as a particular priority area for development. EvaluAgent was set up in 2012 by Jaime Scott, Michelle Dinsmore and Alex Richards, all of whom has significant experience in the outsourcing sector with a range of nationally-renowned brands. Earlier this year, it was chosen to be part of technology analyst TechMarketView’s annual Little British Battler Programme, which aims to help smaller UK-owned technology firms realise their growth potential by giving them the chance to present to the TechMarketView analyst team, discuss their strategy and receive constructive feedback on how it might be enhanced. Jaime Scott, managing director at EvaluAgent, says: “The success we’re achieving is based on a combination of software and service, and the flexible agile working practices that we follow are being very well received by clients. “The technology we’re developing and deploying is based on a detailed understanding of the bottom line impact that it can make on clients’ operations, and on how it enables them to live up to their responsibilities in what are often highly regulated markets. “We’ve added some highly talented people to an already-strong team over the last year, and the contracts we’ve picked up in that period are paving the way for the creation of more jobs in the future. “We think there are opportunities to grow in a range of different markets both at home and overseas, and the new functions and features that we’re constantly adding to our product portfolio will be the drivers for the next stage of our development.